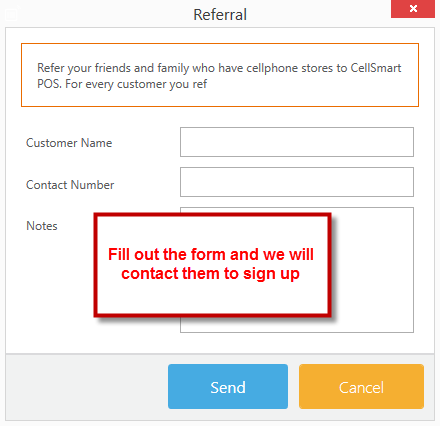 Did you know that you can save money on your subscription by referring other business owners to use CellSmart POS? Who do you know that can benefit from a cell phone point-of-sale software that is fast, efficient and ready to take cellphone business to the next level? 3. Fill out the referral form and send. We will contact the referral and if they sign up, you will get your free referral month. You can also take credit for the sign up when your friend signs up. 1. 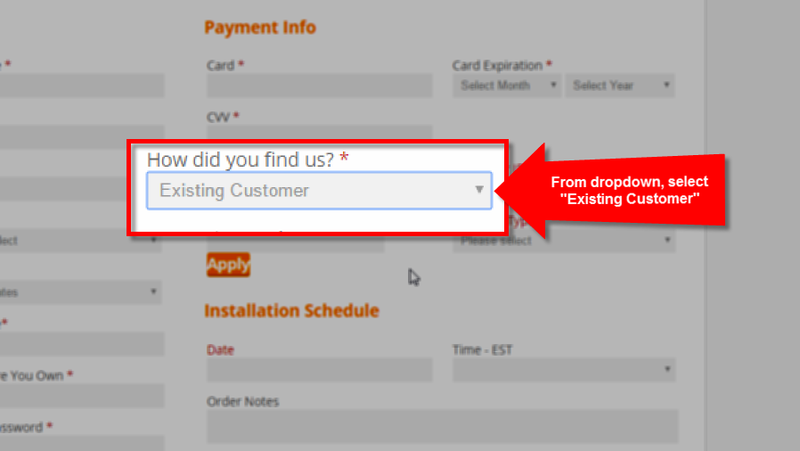 During checkout, choose "Existing Customer" option from the dropdown under "How did you find us?" 2. 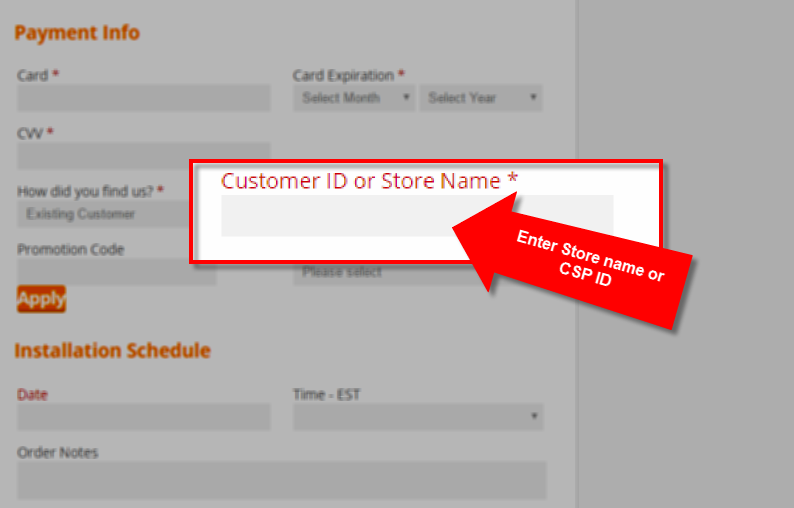 Enter your CSP ID or store name in the box and a free month will be applied to your store after the order is submitted.